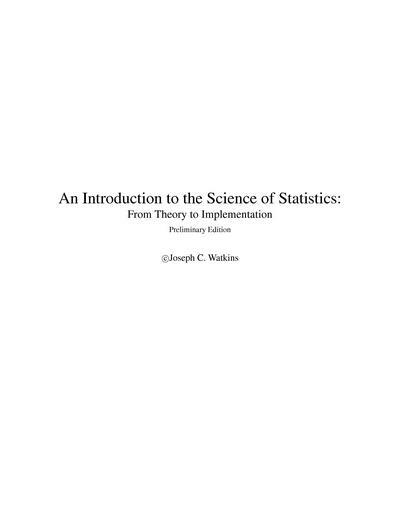 An introductory textbook, dedicated to a higher level of understanding of the concepts and practical applications of statistics. A solid grasp of concepts and structures in calculus and algebra is required. Joseph C. Watkins wrote:Many university students, presumed to be proficient in college algebra, are taught a variety of procedures and standard tests under a well-developed pedagogy. This approach is sufficiently refined so that students have a good intuitive understanding of the underlying principles presented in the course. However, if the statistical needs presented by a given scientific question fall outside the battery of methods presented in the standard curriculum, then students are typically at a loss to adjust the procedures to accommodate the additional demand. On the other hand, undergraduate students majoring in mathematics frequently have a course on the theory of statistics as a part of their program of study. In this case, the standard curriculum repeatedly finds itself close to the very practically minded subject that statistics is. However, the demands of the syllabus provide very little time to explore these applications with any sustained attention. Our goal is to find a middle ground. 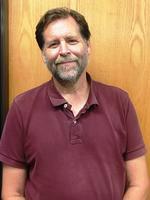 Professor in the Department of Mathematics, Chair, Interdisciplinary Program in Statistics, Interdisciplinary Program in Applied Mathematics, and Interdisciplinary Program in Genetics at the University of Arizona.